"June 18, 2015 5th Grade Recognition Ceremony" AND "5th Grade Memories Slideshow"
Potter School 2015 2nd Grade Play, "A Salute to World Geography"
Dartmouth Elementary Schools Strings "Play-In"
Dartmouth Elementary Schools Band "Play-In"
"A Christmas Carol - Scrooge and Marley"
Potter School 2014 2nd Grade Play "A Salute to World Geography"
Recorded Live at DHS Auditorium April 11, 2014. Recorded Live December 6, 2013 at DHS Auditorium. 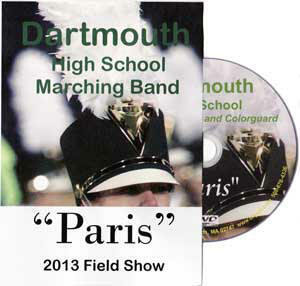 Recorded Live April 5, 2013 at DHS Auditorium. "June 11, 2012 5th Grade Recognition Ceremony" AND "5th Grade Memories Slideshow"
DHS Marching Band Championship 2011 Field Show "Twisted"
"5th Grade Recognition Ceremony" AND "5th Grade Memories Slideshow"